Vietnamese fintech firm Finhay had successfully raised nearly US$1 million from Singapore-based Insigna Venture Partners and other investors, the company announced on January 17. “We are thrilled to support Finhay and believe that it is the right idea, at the right time to enable a new generation in Viet Nam to build their financial future. It is not hard to believe that they will gradually layer on more products and services to become the Amazon of financial services in Viet Nam,” Insignia Ventures Partners founding managing partner Yinglan Tan said. "With new capital of nearly $1 million, Finhay will focus on user growth this year as well as looking for talent to join the team," Finhay’s founder and CEO Nghiem Xuan Huy told Viet Nam News. Established in 2017, Finhay is a micro-investment platform targeted at millennials. 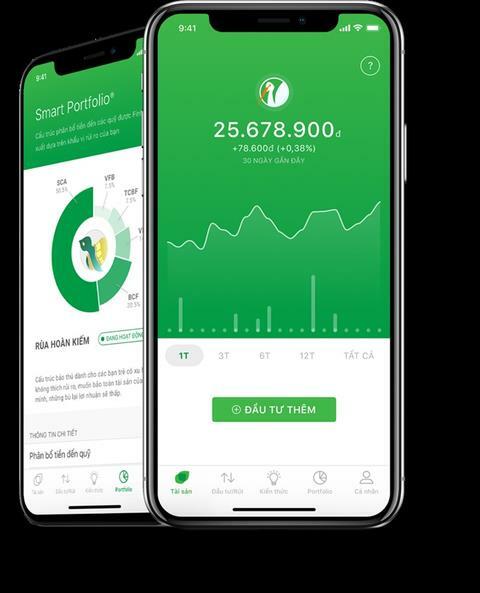 The platform allows customers to start investing with as little as VND50,000, or slightly more than US$2, in mutual funds in Viet Nam. Once registered, new users complete a short survey which asks about their age, career and investment goals so that Finhay can provide a suggested investment portfolio and related risk assessment. The platform has more than 13,000 users with total investment of over VND7 billion ($299,145). The company has also partnered with 18 mutual fund companies and banks to facilitate transactions. In 2017, Finhay also received capital and advice from angel investors VNDirect Securities Joint Stock Company. Soon after, Australia’s H2 Ventures investment fund also poured capital into the company. After two rounds of capital calls, the two investors poured more than $100,000 into Finhay. Insignia Ventures Partners is one of Southeast Asia’s largest venture capital funds, targeting the most influential start-ups in the region. In Viet Nam, Insignia Ventures Partners has funded many start-ups - including Logivan. Recently, Insignia Ventures Partners signed an investment deal with Topica Founder Institute (TFI), in which the former would invest at least US$50,000 in each graduated start-up from TFI.